As you know, at the present time there’s a great variety of products to be used for trading on Forex – Robots, Indicators, Strategies. Unfortunately, a great majority of those products are of questionable quality and which are made by people, who are not professionals. However, there also are products out there that perform wonderfully and that deserve some attention. For example, all indicators, without an exception, that you ever used with our Metatrader, have one shortcoming: YOU HAVE TO DO A LOT OF THINGS MANUALLY. As a result, you lose a HUGE amount of time – something that doesn’t allow you to actually concentrate on turning the profit. BUT, there’s a way. Today, we’d like to offer you a completely different and new instrument for a very successful trading on Forex. No, this is NOT a Robot. And it is NOT an Indicator. And it’s NOT even a Strategy. 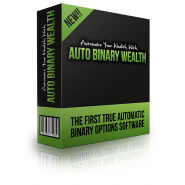 It’s a piece of software that’s going to lead you to a greater understanding of Forex, will give you so much needed assurance and relieve you of stress. So, what is the Forex Supervisor System? It’s a product that will allow you to make your manual trading on Forex 10 (TEN) times faster, more efficient and therefore more EFFECTIVE! Why is it almost “MANDATORY” that you give our Forex Supervisor a try? It provides instant Stop Loss and Take Profit set up. Once you place any order, it will set the desired SL and TP. You may adjust and use any default values for SL and TP by changing them in the properties. The uniqueness of ZeroSecond boosted algorithm is that SL & TP are fully automatic and get set instantly – virtually in “ZeroSeconds”. You won’t have to trouble yourself doing it manually, so you won’t have to get distracted even for one minute. Thus, you could open and close more orders and follow a MUCH greater number of pairs and timeframes. You will never miss that most important market fluctuation, so your profits will only increase. 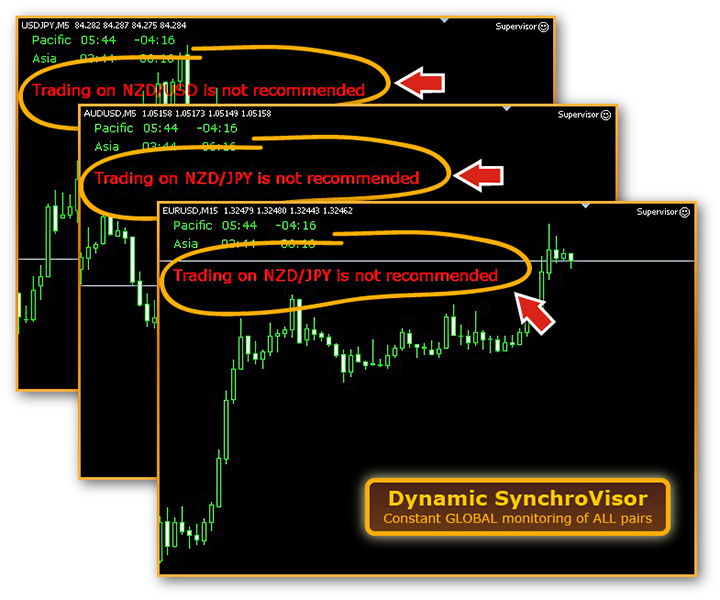 Once, you place an order, you’ll immediately see Forex Supervisor at work and how it performs. It will automatically set both, SL and TP, indicating their current levels on the chart, showing them as bright lines, making them very easy to spot. Forex Supervisor automatically sets and reflects on the chart the SL and TP levels, showing them as bright, easy to see, lines with digits. Utilizing the new DRAG-n-DROP profit technology you can easily modify the SL and TP levels by dragging the corresponding lines! Never before, has this function been available in a regular MT4. It used to be, that in order to modify SL and TP, one had to manually calculate the difference between a current price, then manually do data entry of the new values, that could take about a minute of your precious time. Now, instead, you will have to simply drag-n-drop the SL or TP line – and Voila – the new level will be set automatically. Nice, fast and easy – right on your chart! As a result, you spend less time and have more time to actively follow the price fluctuations – something that considerably increases your profits, while minimizing losses. 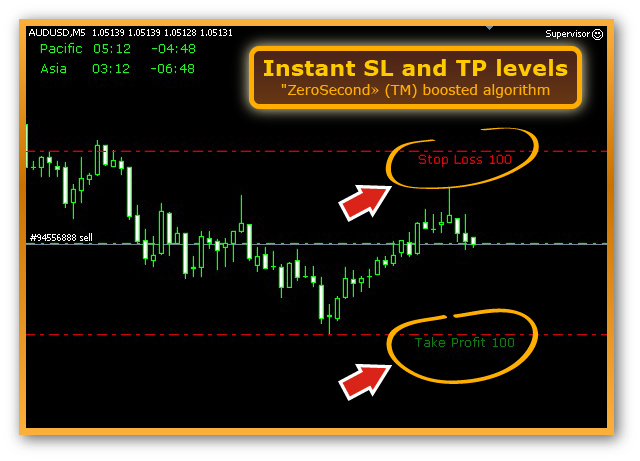 Easy modification of the SL and TP levels has never been so intuitive and easy to understand. You’re looking at two lines on a chart. Click twice on any of them and it becomes “active” and gets “unblocked”, so it could get moved. Now, drag it to a new level that you want it to go to and release it – and that is all to it! A new level has been set. We’ve even excluded a possibility of erroneous dragging of lines, so all of your orders will be under your uninterrupted guidance. It is a special preventive system with an integrated algorithm, that’s been designed to take care of your trading experience and make sure it is as safe as it could be. 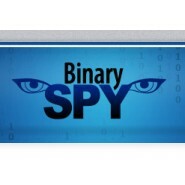 It tracks down the market and, most importantly, sends you signals when you SHOULD NOT trade! All Forex products generate signals and trades on a continuous basis – you are practically forced to trade. At times, you don’t have a moment to concentrate or analyze the current condition of the market. DynamicVisor will happily do it for you. It will tell you WHEN it’s not advisable to trade, helping you avoid sizeable monetary losses, preserving your deposit nice and safe. yncroVisor system will behave as a good predictor and also act as an additional filter. If it considers that it is NOT A GOOD TIME on the market for trading, you will see a red warning in the left part of your screen, that’s below your current sessions and you will also hear a signal notifying you of such. Along with Forex SuperVisor you will also get a bonus set of 4 easy-to-use One-Touch scripts to instant management of your orders. Buy, Sell, Close Buy and Close Sell. Practically, with just one click you’ll be able to open or close your order. 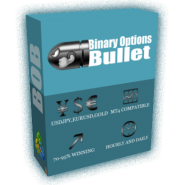 The simplest MetaTrader functions have been moved to an easy-access panel – Scripts. 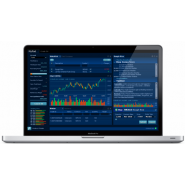 Now, you can quickly catch market activity, without wasting precious seconds while responding timely and accurately. Fast processing of your orders, considerably increases your efficiency and is highly conducive to profit increases. In a split second, with just a couple of mouse clicks, you can easily open or close any order. Even if you need to close a few Buy or Sell orders simultaneously, this particular script will be indispensable. Install Forex Supervisor in the chart where you trade manually. Enter the SL and TP levels in the settings. 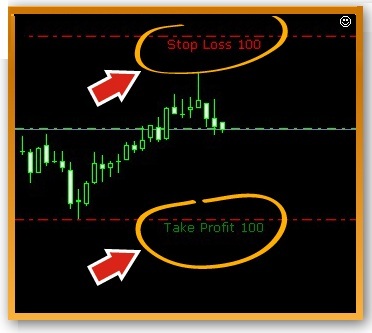 After you open an order, Forex Supervisor will instantly modify it, while adding SL and TP. In order to change SL and TP, USE Drag-n-Drop. To do so, just drag either SL or TP line to a desired position. Repeat these actions with any number of orders.